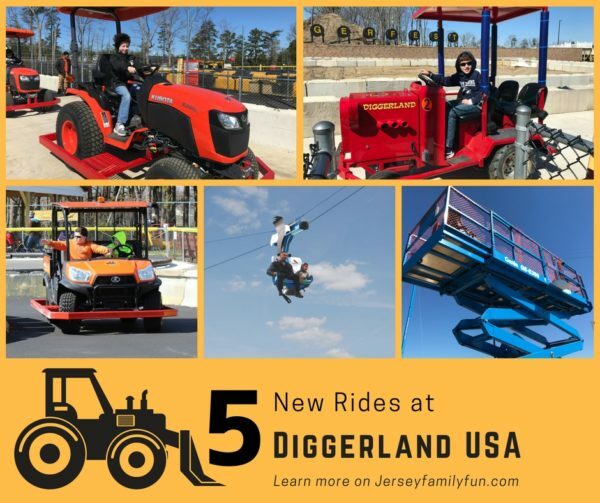 Posted on: May 3rd, 2018	by Melanie C.
Diggerland USA has been an advertiser with Jersey Family Fun since 2014 when they first announced the country’s only construction theme park in the United States. Fans of Jersey Family Fun know how much we love Diggerland USA! 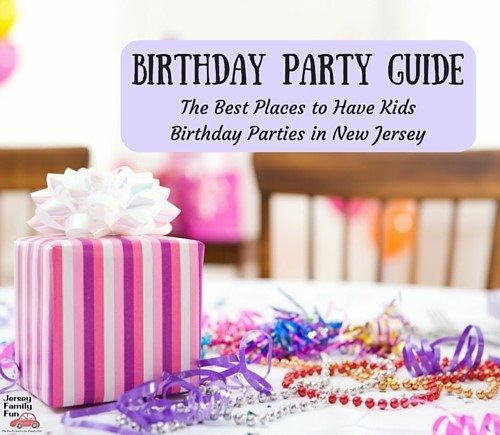 It’s the ONLY construction theme park in the United States and how lucky we are that it’s right here in South Jersey. Kids and adults can operate and drive construction machines, enjoy rides created from machines and so much more! It’s been five years since Diggerland USA opened and every year they just get better. 2018 is no exception with FIVE new rides at Diggerland and a multi million dollar expansion underway. 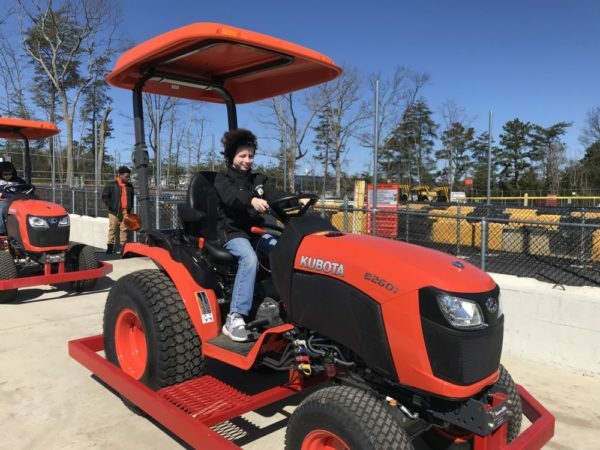 Rugged Riders are rough terrain vehicles made by Kubota Tractor Corporation. You may see these at beaches or in forests and are often used in public works projects and in hard to reach areas. But they’re comfortable and versatile, says Diggerland USA wonder Ilya Girlya, “they also have a unique rugged look which makes them fun and a perfect fit for the park.” The Rugged Riders will be available for guests 48” and over to drive and those 42” and taller to enjoy as a passenger. 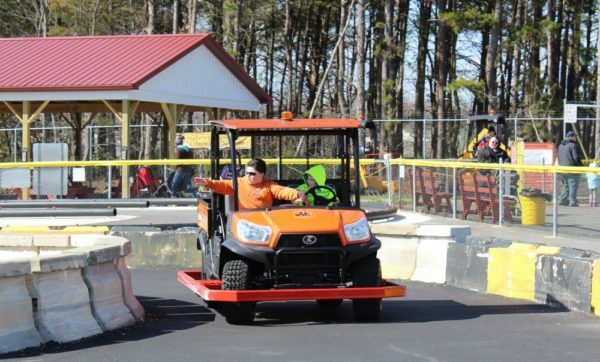 When you ride Diggerland’s Rugged Riders you’ll get to drive it around a track for 2-3 laps. Imagine you’re on the farm while you’re at the amusement park! Park patrons at least 48” can drive the new Farm Tractors while children between 36” and 48” may lap ride on the machines with an adult. Like the Rugged Riders, drivers will take the new Diggerland Farm Tractors for 2-3 laps around a course. Getting ready to drive off in one of the Farm Tractors at Diggerland. How much fun does this look? Fly across the park on the new 700 foot Soaring Eagle Zipline. Soaring Eagle is available for an additional $5 per individual rider or half off for Season Pass holders. Enjoy a panoramic view from the 130-foot tower. Then SOAR down the 700-foot zipline. No stair tower to climb. No harness or other gear required. Just walk on, take a seat and enjoy the flight. 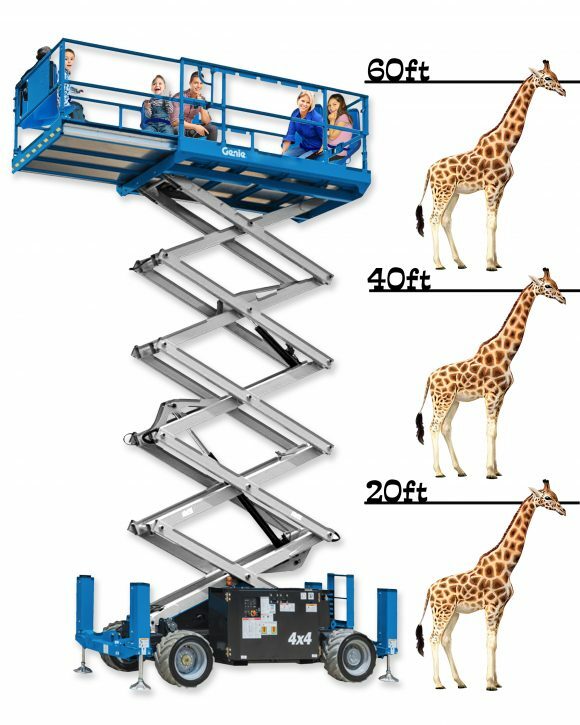 Riders who are at least 42″ tall will experience heights up to 130 feet off the ground, flying over the property in pairs of two. A “Hydrostatic compact tractor.” Or in other words, the first tractors at Diggerland USA! Shiny red and perfectly sized for kids or adults. 22 horsepower engine and best for those fun tight turns! The Ventrac 3400Y will be available for guests 36” and over to enjoy with a parent, or by themselves for guests at least 48” tall. Like most of Diggerland’s rides, guests will get to drive the Ventrac Tractors 2-3 times around a lap. My (Jenn’s) 9 year old son, after coming off a Ventrac Tractors, exclaimed that this ride was awesome. How cool is it that Elevation Station was named by a Diggerland USA fan! 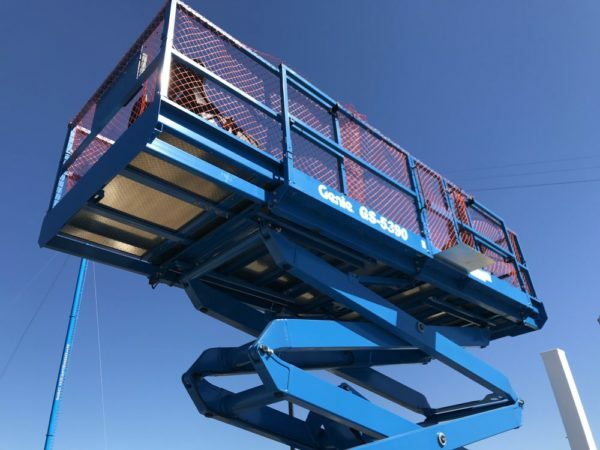 You’ve for sure seen these aerial scissor lifts at construction sites and now you can go up up and up to 60 feet in one of Diggerland’s newest rides. From the top you’ll see all of Diggerland, the surrounding forest, businesses, and if it’s clear, even the Philadelphia skyline. Elevation Station holds five passengers and a ride operator. The ride will be available for guests who are at least 36” in height to ride with an adult, or at least 42” tall to ride alone. Diggerland is open weekends until the end of June then will be open daily. Check their website for updated hours. 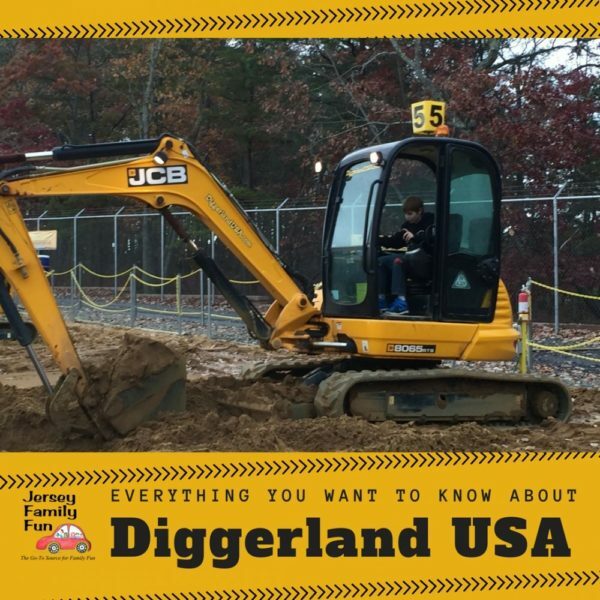 Visit these articles to learn even more about Diggerland USA, one of our favorite places to visit in New Jersey. To go all the way back to the beginning to learn about Diggerland’s creation, visit this article. 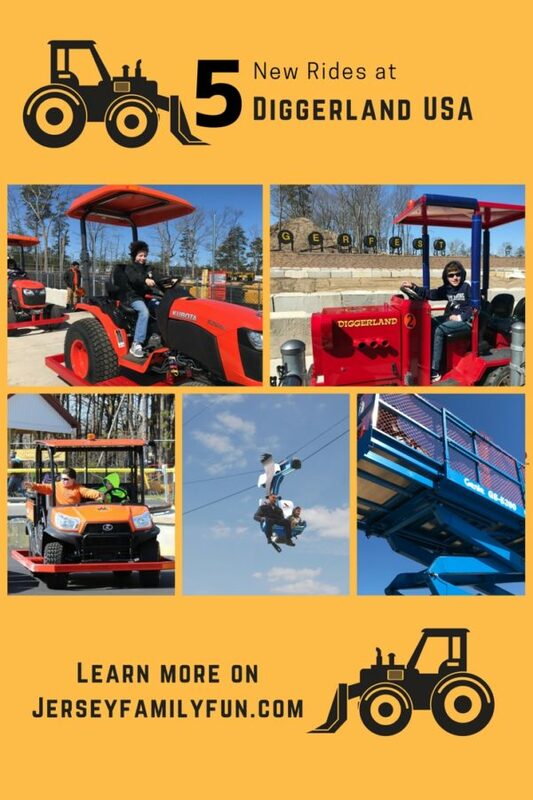 If you have any questions about Diggerland please visit their website, call them at 856-768-1110, visit their Facebook page, send them a tweet, or leave your comment below. Watch our Diggerland Videos below or on our YouTube channel. Planning a trip to Diggerland? Pin this for later.